Physical therapy can be helpful in designing a program of specific exercises which have been proven effective in strengthening the muscles that support the pelvic organs. 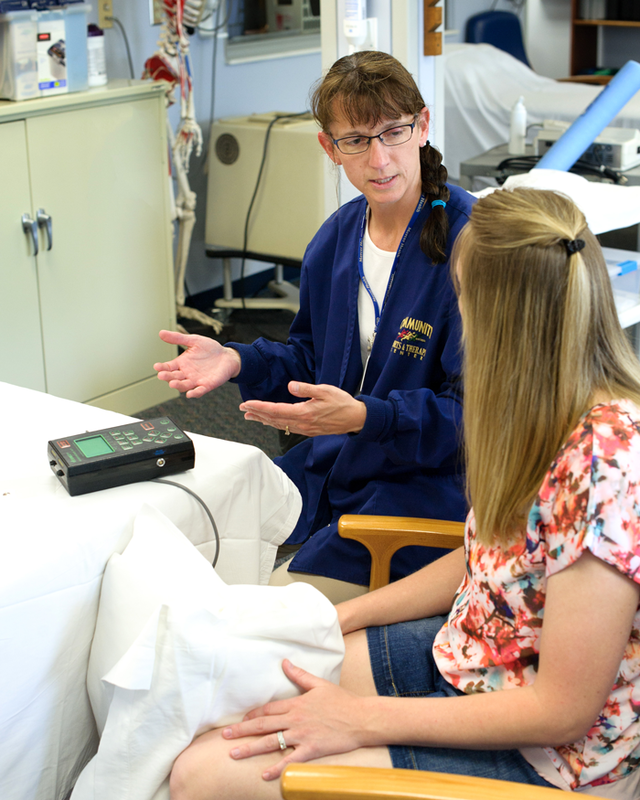 Treatment possibilities include management techniques, pelvic floor and core strengthening exercises, and biofeedback. Our trained therapists can design individualized exercise programs to improve core strength and promote weight bearing activities to provide more stability to the spine, to improve balance, and to assist with fall prevention. Our staff is specially trained to treat musculoskeletal problems that may arise during and following pregnancy, as well as: providing education regarding flexibility, postural awareness, and pain relief techniques; recognition and engagement of the core muscles to assist with facilitation of delivery; and safe and effective exercise prescription for pre and post-partum patients. Our physical therapists can address SI pain and dysfunction by providing manual therapy techniques, postural re-education, therapeutic exercises for flexibility and strengthening, as well as techniques for independent management of symptoms. While being mindful of the emotional recovery of this patient population, our therapists can design safe, effective exercise programs to counter the complications brought on by different breast cancer treatments. All treatments are performed in a private, one-on-one environment.